In 2017, free agency has become a real thing in mixed martial arts. A few years ago, fighters competing in the UFC didn’t have a solid alternative to turn to if they found themselves unhappy in their deals — whether it was due to pay, general treatment, lack of marketing, sponsorship opportunities, USADA, or anything else. Free agency, for the most part, meant Bellator. For some time, under the early regime of Scott Coker, it looked as though only coveted brand name fighters could find a second life under the Viacom-owned promotion. However, today it’s a bit of a different story. Bellator has signed several ranked UFC fighters recently, including the likes of Ryan Bader, Lorenz Larkin, and Michael McDonald. 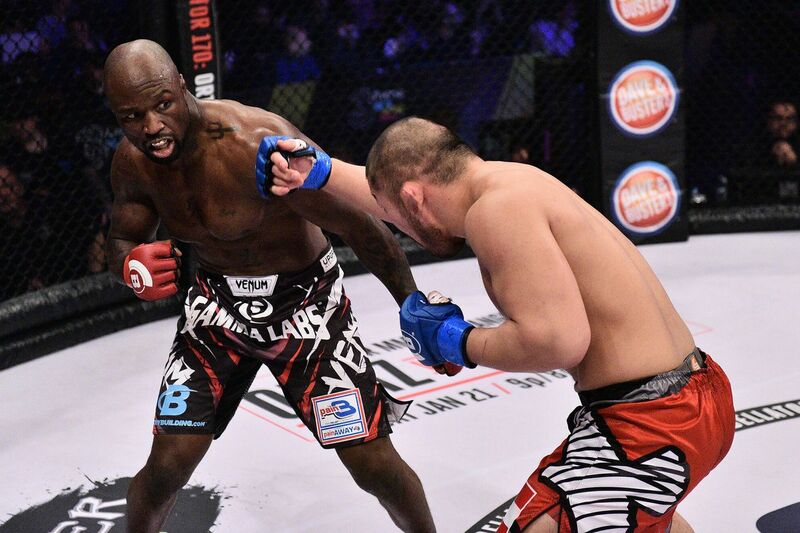 Former Strikeforce light heavyweight champion Muhammed ‘King Mo’ Lawal, who’s been competing with Bellator since 2012, has witnessed the evolution not only in Bellator’s philosophy, but within the state of free agency in general. On Monday’s edition of The MMA Hour, Lawal reflected on the current trend of UFC athletes fighting out their contracts to test the open market. Lawal doesn’t find Bellator’s recent signings surprising. He said he feels confident the promotion won’t go down the path of his former employer, Strikeforce, which was purchased by the UFC in 2011 and later closed. “No, because Viacom got a lot of money,” Lawal explained. “It’s funny because people be like, ‘oh, give it a year or two and the UFC is going to purchase Bellator,’ and I’m like, ‘no, Viacom’s got money, man.’ They just don’t know because they are fans of the UFC and they don’t do their research, you know what I’m saying?